Excise duty on petrol and diesel were cut effective Wednesday, which has brought down the prices of the fuels by over Rs 2 per litre. Oil Minister Dharmendra Pradhan has asked states to follow the Centre's footsteps in cutting taxes on petrol and diesel. Petrol rates and diesel rates today were little changed as compared to Thursday's prices. Currently, petrol rates and diesel rates are revised on a daily basis, applicable from 6 am. Excise duty on petrol and diesel were cut effective Wednesday, which has brought down the prices of the fuels by over Rs 2 per litre. Meanwhile, Oil Minister Dharmendra Pradhan has asked states to follow the Centre's footsteps in cutting taxes on petrol and diesel. The Centre had earlier this week cut excise duty on petrol and diesel by Rs 2 per litre each to provide some relief to consumers from a three-month long relentless price hike. 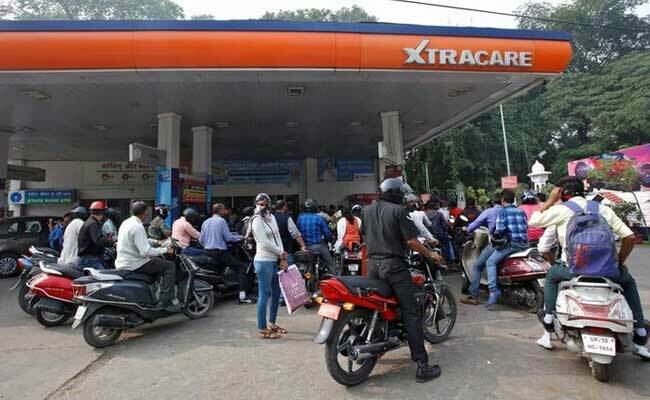 On Friday, non-branded petrol rates were at Rs 68.36 per litre in New Delhi, Rs 71.14 in Kolkata, Rs 77.49 in Mumbai and Rs 70.83 in Chennai, marginally lower from Thursday's petrol rates, according to Indian Oil's website. The price of unbranded diesel was at was at Rs 56.95 in Delhi, Rs 59.61 in Kolkata, 60.50 in Mumbai and Rs 59.95 in Chennai, according to the Indian Oil website, slightly higher than Thursday's price. Global crude prices have surged to their highest level in two years on optimism of a demand pick-up and geopolitical tensions. The excise duty cut on petrol and diesel would cost the government Rs 26,000 crore in annual revenue and about Rs 13,000 crore during the remaining part of the current fiscal year that ends on March 31, 2018. Previously, the petrol and diesel rates were changed every fortnight but since June 16, they are revised daily to immediately pass on any movement in international oil prices to consumers and avoid sharp spikes by spreading them in small doses. Petrol and diesel don't come under the ambit of GST (Goods and Services Tax). Besides, global prices, excise duty and VAT determine the domestic price of petrol and diesel. India relies on imports to meet 80 per cent of its needs.